Specialising in Oracle’s Hyperion EPM product suite, AMOSCA is an Enterprise Performance Management (EPM) consultancy providing Financial and Management Reporting solutions to help businesses worldwide manage and achieve their strategic and business performance goals. Our mission is to provide our customers with pragmatic and reliable advice, services and solutions to enable them to maximise their investment in Oracle Hyperion EPM systems. By working in close collaboration with our clients, partners and Oracle, AMOSCA has built an impressive reputation for excellent service and outstanding results. Voted onto the podium for Hyperion Partner of the Year by the user community every year since inception, including Gold for five consecutive years, AMOSCA provides a range of Services, Support, Software and Solutions to help clients maximise their investment in the Oracle Hyperion EPM solutions. AMOSCA Services provide efficient, dynamic and cost effective consultancy across the Oracle Hyperion EPM and BI toolset. Services delivered include application and infrastructure reviews, application design, implementations and upgrades. 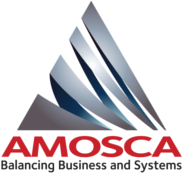 AMOSCA Support , provided by the AMOSCA Support Centre (ASC), is a dedicated application and technical support function, ranging from a complete managed service to traditional second and third tier support models. 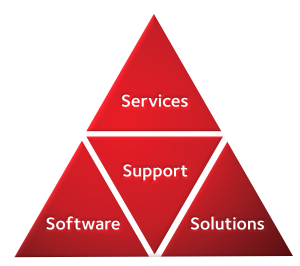 The ASC will complement and extend existing client support and maintenance capabilities to ensure that improved product knowledge, best practice, application functionality and optimal operation are achieved, and provides a functional layer to complement the support provided by Oracle software support. AMOSCA Software offers a range of companion value-add products designed to enhance and maximise the client’s investment in Hyperion EPM software. 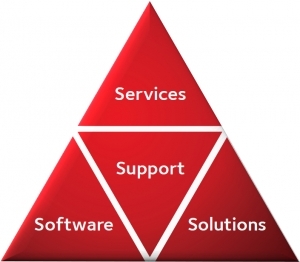 With full product support offered by the AMOSCA Support Centre, and product plans shared with Oracle Development, the software products distributed by AMOSCA help clients reduce reliance on manual and external resource and significantly improve and extend the operation, maintenance and functionality of Hyperion EPM implementations. AMOSCA Solutions help clients address key business reporting areas such as regulatory and compliance reporting, XBRL reporting, Tax reporting and Integrated/Sustainability reporting. Combining domain expertise with product knowledge and technical know-how, AMOSCA consultants help clients architect solutions to address a wide range of Regulatory, Financial and Management Reporting requirements. AMOSCA is our go-to partner for all things Oracle EPM and beyond. Their depth of real-world experience and customer-focus is a real strength. AMOSCA continues to provide the support and assistance above the level Mondi requires – we come to rely on the quick response times, first rate advice and efficient resolutions. FirstRand have a very complex, dual location environment. The AMOSCA team, with the EPM Maestro Suite have proven invaluable in their support, advice and development of this. EPM Maestro is an easy way to get more value out of your Hyperion investment. EPMM’s intuitive design provides HFM admins with an effective scripting and automation tool. If you’re offered a free trial, do it and see the benefits for yourself. Even if you’re still in the process of implementing HFM, I recommend getting EPMM right away. It will speed along app builds, dataloads, and consolidations. EPMM can decrease expenses by minimizing time spent monitoring and waiting for tasks to complete. The contribution of AMOSCA to the success of these projects can not be understated. We soon discovered that AMOSCA were focussed solely on helping us to achieve the most successful and cost-efficient HFM implementation possible. In little over a month AMOSCA, using Report Authority, enabled us to file over 40 sets of accounts in iXBRL format for HMRC reporting purposes. This would not have been possible using the tool we had initially set out to use. Against tight deadlines, AMOSCA enabled us to submit our accounts to HMRC in iXBRL format using Report Authority. We have been more than satisfied with the level of support, advice and expertise provided to us and continue to have AMOSCA assist us in this area. This is the best addition to our HFM environment we’ve had in years. It’s ke having an extra employee but I don’t have to write an annual review or worry about the hours they are working. The Report Wizard has become an integral tool to all reporting processes out of HFM, offering standardised reports across the group, drill-down functionality enabling rapid ad hoc analysis, plus the user-friendly intercompany reports.The overall result is that controllers are able to spend more time driving action in response to reports, than reporting itself. The Report Wizard has revolutionised the way I report on HFM and I can’t imagine how I managed without it. There is no doubt the level of reporting and analysis we do is far superior and much easier than it would be without the Report Wizard. This software should be a must with all HFM installations. Between me and you we saved 7 days this year on our annual reporting, with the help of EPM Maestro. Our desktop service calls drop by 50% as the banner informed them well in time.